Whatever the size or budget, we can provide an efficient and ergonomic solution for your food service. 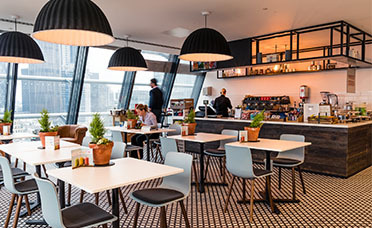 The team at IFSE have over 25 years experience designing catering areas for schools, colleges and universities, including King’s College London, LSE, London South Bank University, Hockerill College, Oundle school and Oxford University. Benefit from a dedicated team of designers, builders and engineers who are assigned to your project from the very beginning, meaning the design we put forward is well thought-out, cost efficient and future proofed. Our designers understand that catering areas in schools, colleges and universities act as more than a place to eat… For most facilities, the restaurant or canteen is now a meeting place, a social hub and a place to study. This is translated into the design that our team put forward. We work with you and your catering team to define the area with it’s own unique flare. Everything is created by our in-house team and our team work closely with you to understand every aspect of your operation. Let’s turn your catering challenge into an exciting opportunity! Every project starts with a good design. Our designers have the creative vision and the latest tools to provide you with a well though out and cutting edge solution for your catering facility. 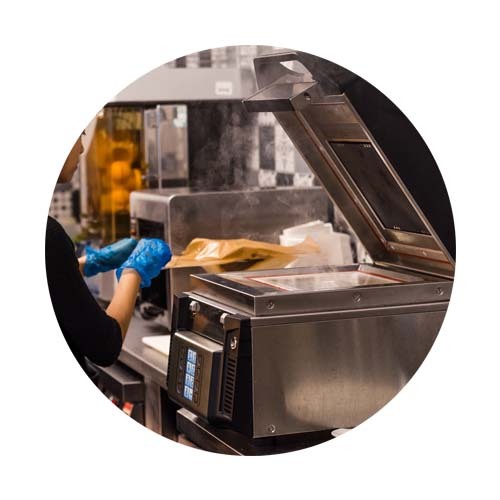 Achieve lower commercial catering equipment costs with the largest discounts available in the market thanks to our over 35 years experience in the industry and our links to the largest commercial catering equipment brands. Your project is in experienced hands. We pride ourselves on our versatile and qualified in-house project management team, who all have the necessary and correct industry accreditations. Your project is in expert hands with the experienced team at IFSE, we have a vast history in partnering with schools, colleges and universities to provide full design and build projects that delivers an improved and a cutting edge food service facility that can improve profitability by enhancing the food offering. Alongside our 2D and 3D catering designs and visualisation, we will also work with our links within the commercial catering equipment industry to deliver the largest possible equipment discounts to our clients to ensure the initial investment is cost efficient. In 2016, with a team of 33 designers, project managers and industry specialists, we successfully delivered over 200 new-build and refurbishment projects to the highest possible standard. 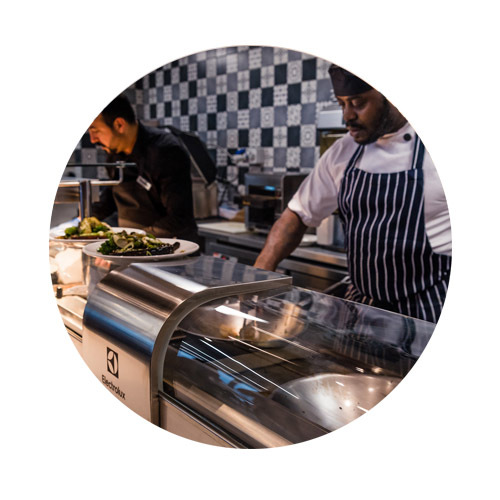 Our history in the industry makes IFSE a quality-first restaurant design and catering equipment specialists in the UK, capable of taking on a project of any size, location or complexity. Benefit from teams that our completely focused on your project. Our specialists are all directly employed by IFSE, meaning our designers, builders, and managers are personally invested in your project. Unlike other companies, you wont be chasing us to get updates on your project. We provide you with a dedicated expert project manager who is your single point of contact throughout your project. From day one, the project manager will take case of all aspects of your fit-out. We know restaurants and all of the detail that might often get overlooked. IFSE was established in 1991 and our specialists have, on average, over 25 years experience designing and fitting out all types of restaurants. Most recently, our team completed four 500 square meter restaurant refurbishment projects in the NEC Exhibition Centre in just six weeks “virtually snag free” and ready for the exhibitions to open with normal catering service. Our partnerships with major brands like UNOX, Rational, Electrolux and many more catering equipment manufacturers means we are able to supply everything from basic cooking ranges to full state-of-the-art, multi-functional, branded suites utilised by Michelin start restaurants. Great tasting sandwiches and paninis in under 40 seconds! “Fast food, fast business”. The all-new SpeeDelight can deliver a hot, chef-worthy quality toasted snack in less time than it takes to make a speciality coffee. The SpeeDelight uses a combination of a combination of 3 cooking technologies: contact plate, infrared radiation and microwaves. The upper plate settles automatically on your food with just the right pressure to create the perfect crisp, everytime! Press the lid and your job is done, the lid will rise automatically when your snack is ready. Why not download our Restaurant Design Concepts PDF that will give you a taste of the restaurant design capabilities of our team. Download our brochure which can give you more detail about what we do and how we do it. Don’t worry, it’s free! Let’s partner on your next restaurant refurbishment? If you’re thinking of refurbishing your restaurant drop us a message or give our team a call.